Calendar of events for Miss Delaware Scholarship Organization. 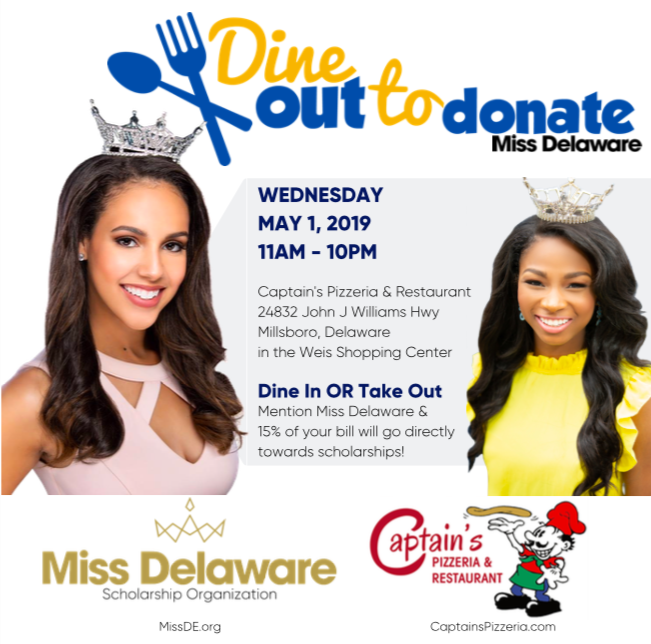 The Miss Delaware’s Outstanding Teen Pageant will be on Sunday, May 19 at 2pm in the Wesley College Slabaugh Hall theater. The Miss Delaware Pageant will be Saturday June 15 at Cape Henlopen High School in Lewes.